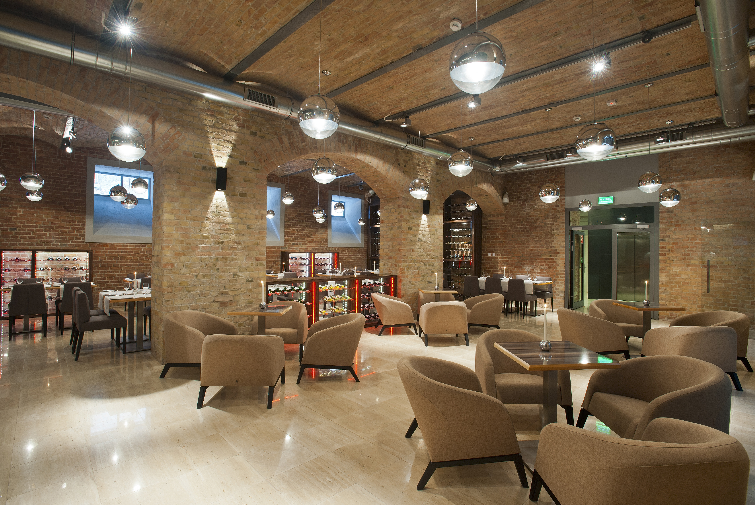 Grand Cru Restaurant is in the charming underground of our hotel. Here, the exquisite dishes and unique selection of wines will be a league of its own. We have created a special place, ideal for romantic dinner, business meeting or family party, even for 100 people. Grand Cru Restaurant is in the charming underground of our hotel. Here, the exquisite dishes and unique selection of wines will be a league of its own. We have created a special place, ideal for romantic dinner, business meeting or family party, even for 100 people. Thanks to our Chef who created fine menu and to our sommelier who composed a broad wine card, each visit in our restaurant is an unforgettable experience. In our restaurant except the regular menu card you will also find special offers.